We are here to assist you with your Grade 4 Medieval Unit. 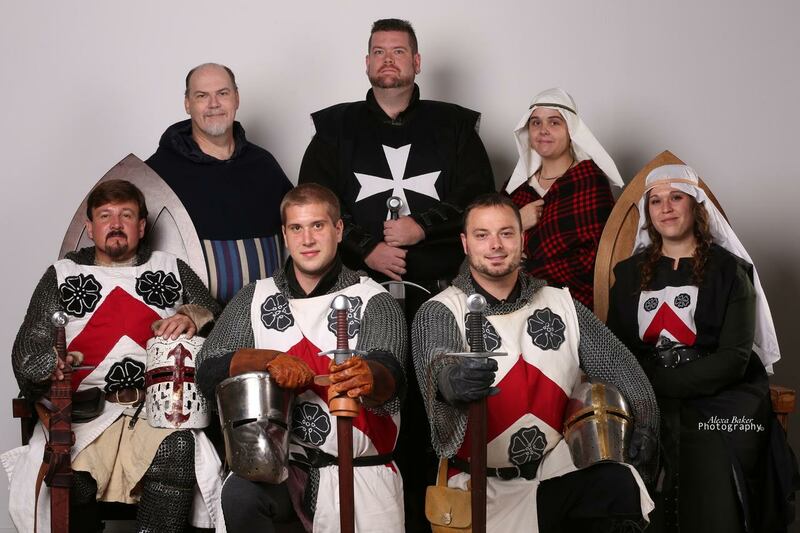 Blackthorn Productions Inc. is a company specializing in Medieval Education and Entertainment with 13 years of experience bringing our unique presentations to your school. Save the time, energy and cost of hiring a bus and taking your students to an offsite venue. We bring the medieval era to your classrooms and offer your students a chance for a kinaesthetic, interactive experience. 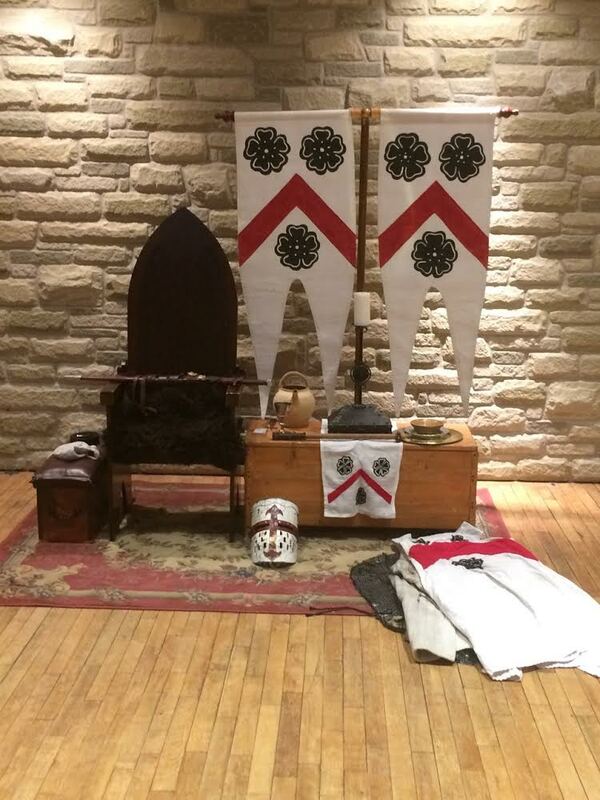 Our Living History presentations include Touch & Try On Displays with authentic medieval artefacts, Q & A, Dress the Knight, a Talk on the Crusades and a Combat Demonstration. We have expanded our array of quality workshops to add to your existing presentation or to be used as stand alone units. Don’t forget to ask about our Referral Program to gain some well deserved savings on your next presentation. Our staff includes retired teachers, actors and University graduates, all with a passion for history and teaching. A deposit of 25% of your total fee will be required to finalize and lock in your booking. Join the Earl in a discussion of Daily Life, Weapons & Armour, Heraldry, Castles and much more. There will be a selection of weapons, armour and daily life artifacts for the students to explore and try on. Also, they can assist the Earl getting armoured up and see the amusing way he gets out of his armour. Number of Students: Max. 3-4 classes in either Three, 1 hour sessions or two, 1.5 hour sessions. Please confirm numbers at time of booking so format can be determined. Let the Knights of Blackthorn lead your students through an array of Touch & Try On displays of Weapons and Armour. The students will actually get to try on the armour and pick up the weapons (under strict supervision of course). They will also discuss the types of weapons and armour as well as their different uses. 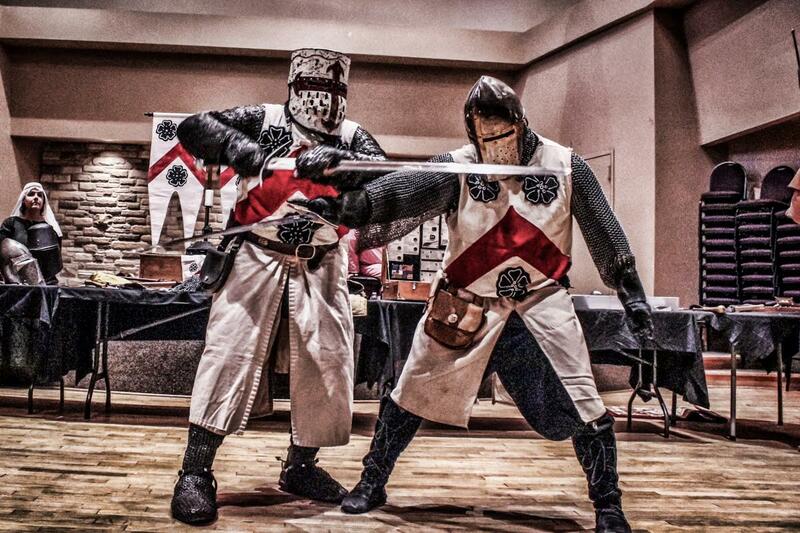 Following this our Knights will armour up and do a combat demonstration to complete the presentation. Number of Students: Approx. 3-4 classes. In the case of large numbers the presentation can be split into two, 1.5 hour sessions with the combat demo in between for all the students. Please confirm numbers at time of booking so format can be determined. Let our experts on Siege warfare explain just what it took to lay siege to a castle and how the castles were built to withstand them. Explore the first castles to the mighty stone fortresses of the 12th century and beyond. 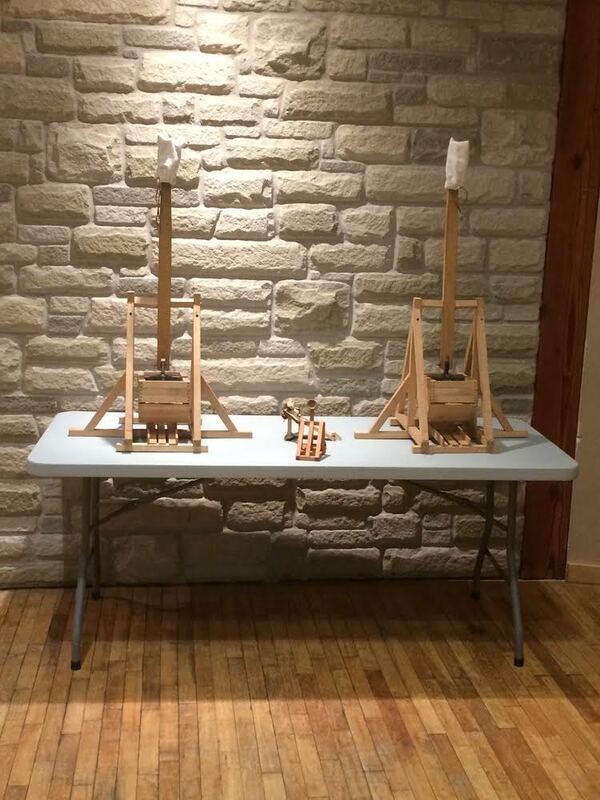 Following the introduction and Q&A the students will get to launch one of 2 table top Trebuchets at one of our Knights…or teachers. 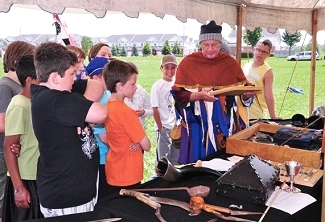 Join the Earl and his court for a day of fun and excitement as the students explore many aspects of the Middle Ages. In approximately one hour sessions the students will explore 4 of the following workshops: Heraldry, Medieval Dance, Weapons & Armour(Touch & Try On), Castles & Siege Engines, Period Clothing or Daily Life with the member of The Earl of Blackthorn’s Court. Either at the end of the day (approx. 2 or 2:30) or at the lunch time, the Knights of Blackthorn and maybe even the Earl himself will present the students with a combat demonstration. Most popular workshop combination: Weapons & Armour, Heraldry, Medieval Dance and Castles & Siege Engines. But it is your choice of 4 from the list above. Number of Students: Approx. 3-4 classes. Lengths of each session to be determined based on school schedule, numbers of students, etc. and if breaks can be worked through. Except lunch of course. Please confirm numbers of students at time of booking so format can be determined. Space Required (Dependent on number of Students): Large Utility Room, Gym and classrooms. One space per activity with Dance having a large enough space for movement. Thank you for your time and we look forward to hearing from you.